Though I have a whole soup bowl full of lip balms, there are just a handful that I reach for regularly. My new Cecilia Wong Skincare Black Currant with Lemongrass and Sage Lip Healer is one that’s made it out of the soup bowl and onto my nightstand, so I can apply it before bed. Cecilia Wong Skincare offers three lip healers, with the Black Currant with Lemongrass and Sage being one of the newer scents in the collection. I was drawn to this scent because lemongrass reminds me of home; my mom used the citrus-scented grass in traditional Asian cooking, and she even grew it in our home graden! This lip balm is smooth but not overly waxy or thick; it glides on and delivers enough moisture in one swipe. This is a big deal to me because I tend to go round-and-round on the lips with most balms to really coat my lips. I don’t feel the need to do that with this balm! It has a light texture yet, thanks to the abundant plant oils, is very hydrating. 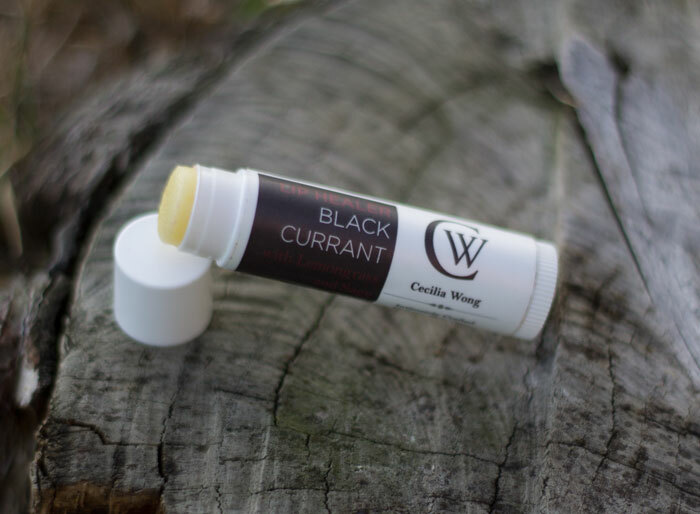 While at the end of the day, yes, this is just lip balm, I love this balm and will repurchase it again because I’m a bona fide Cecilia Wong Skincare fan (read my other reviews and my interview with Cecilia herself!) and just love having a bit of lemongrass on my mind — and my lips — before bed. Have you tried anything from Cecilia Wong Skincare? What lip balm do you use before bed? Tell me in the comments!